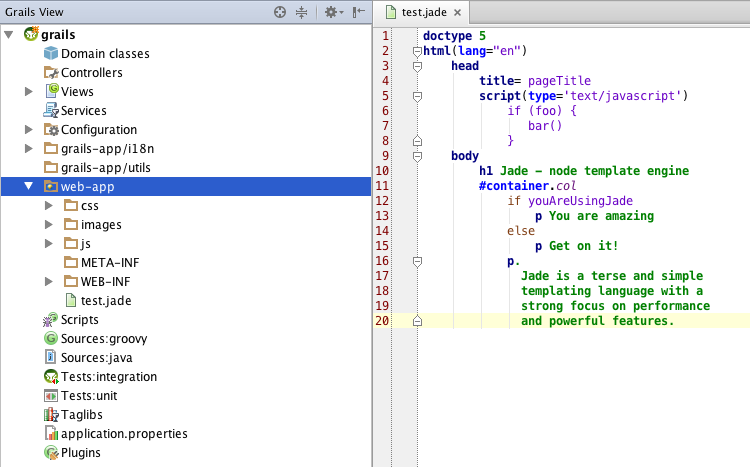 Any pointers to this is greatly appreciated (since my vim works well with the jade files, but I've grown to love IntelliJ!). Keep up the great works on IntelliJ! Thank you.